How to build a stylish outfit. When I recently asked you guys to tell me what you'd like to see from me, a lot of you asked for some direction with how I put together an outfit. A full look, from head to toe, accessories included. I feel like I have somewhat mastered this process so I thought I'd sit down and take you through, step by step. 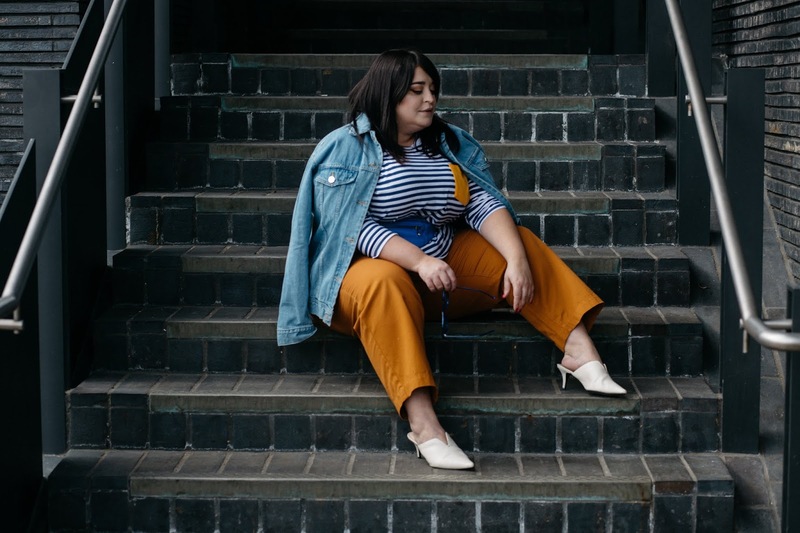 Some of my looks come to me organically, or maybe I have picked up inspiration subconsciously while scrolling online, but most of the time, it is because I have documented my style inspiration. I think of it as digitally scrapbooking. 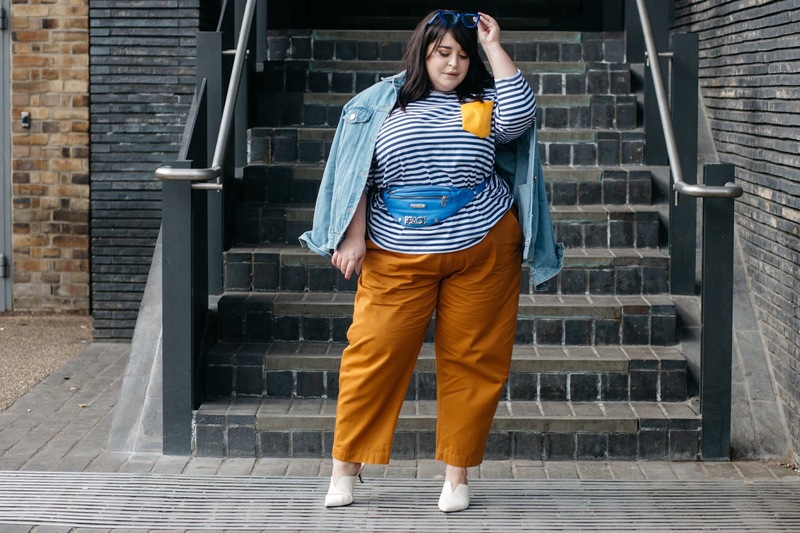 Whether this is by pinning on Pinterest or saving pics to my saved collection on Instagram, I always have a go-to place where I can take a look at what outfits have caught my eye. I love finding looks on Insta or in magazines and re-hashing them to make them more 'me'. I tend to love re-working straight size outfits and making them plus size friendly. 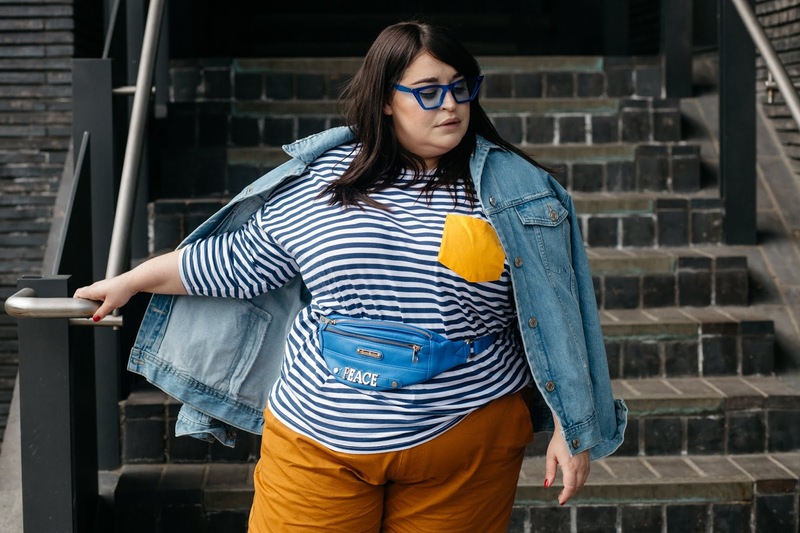 I love showing you guys that no matter your shape or size, you can make so many of the on-trend looks, work for you. Flick through magazines, look through the hashtags on Instagram, check out the various Fashion Weeks each season, find what works for you. Visual Merchandisers work hard to put looks together on mannequins in store. Now, I don't think they always do a fantastic job, but that's just my taste BUT, 9/10 they do help to inspire the less fashion savvy or the people who are in a fashion rut. I love looking at mannequins in stores like Zara and thinking "how can I recreate that look with clothes that'll fit me?" Choose the star item - The first thing I tend to do when building an outfit is choose the main garment. It can either be a statement coat, a wicked dress or classic shirt for example. I always pick one item and then go from there. Whether I am putting together a look for the blog or a day to day outfit, it's the same process for me. I start with the item I want to be the focus and pull together additional items that I want to compliment that star item. Basics at the ready - Something I have learnt over the years is that basics and wardrobe staples are essential. Check out a recent post of mine here, where I detailed the top must-have items to help you build the perfect wardrobe. 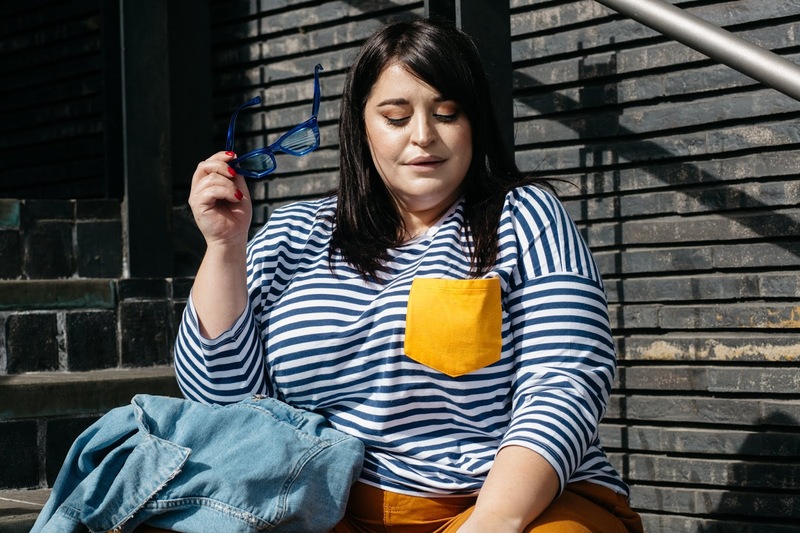 Basics, such as Breton stripe tops, crisp white shirts and plain white tee's help you build a killer outfit because they are the items that are there to help glue a look together seamlessly. Alone, they aren't always the most thrilling pieces but mixed in with the statement pieces; they make a look complete! Mix & Match - a top tip is to make sure you have pieces in your wardrobe that sing together. Make sure you have items that you can re-work over and over again and that you can pair with heaps of other things in your wardrobe. Statment pieces and on-trend pieces etc. are good, but they can date very easily, and you probably won't reach for them as much as your trusty skinny jeans or throw on t-shirt. Watch the Weather - If you live somewhere like the UK, dressing for the seasons is kind of hard. Take the weather at the moment for instance. It is hella hot, but pouring down at the same time - this makes dressing appropriately, all the more difficult! Where possible, if you keep an eye on the weather, you'll at least know to stay away from your polyester tops if it's humid or your linen dress if its raining cats and dogs! Versatile shoes - a lot of the issues I have with building a look, can be because I really struggle to find comfortable shoes. When I do see a shoe or trainer I like, I tend to buy them in every colour and stockpile them hahaha. If you have a versatile array of shoes, you can quickly switch up a look just by changing the shoe. 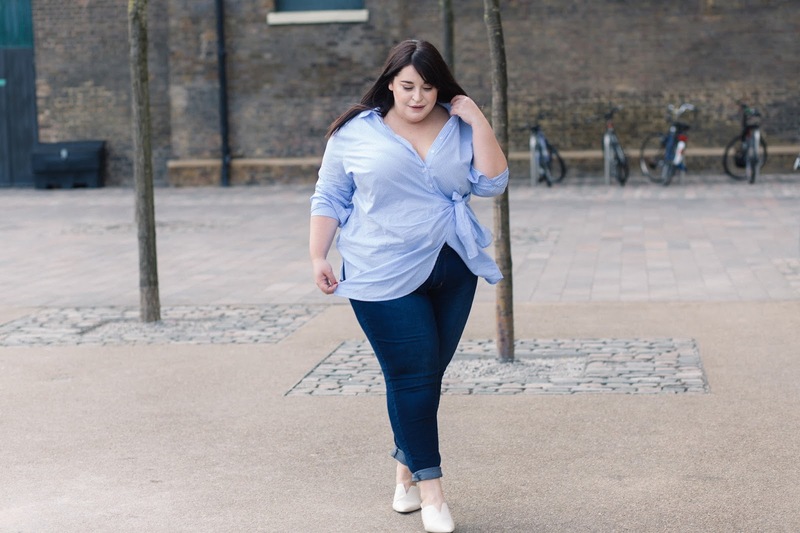 A 'nice top and jeans' look can go from casual (with a trainer) to party ready (with a heel), just like that! Go - to accessories - I love buying accessories. I am a highstreet handbag fiend, I buy too many earrings, and my recent obsession is sunglasses. The accessories available to us in store tend to be very trend driven, but I always make sure I have the classic go-to's ready and waiting to finish off a look. I like to pick out a key colour in my outfit and let that inspire my accessory choices. 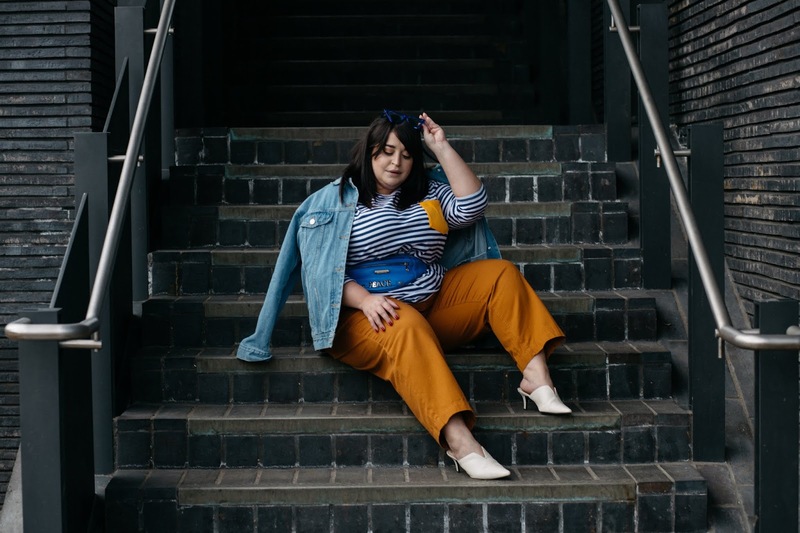 If I am wearing a blue/white/denim look, for instance, I will usually wear gold jewellery, white or red sunnies and yellow is also a current obsession! I just love my primary colours! I would say those classic accessories are pieces that are timeless such as gold hoops, white trainers, your fave stackable rings, black/tortoiseshell sunglasses. Items that won't go out of style and you can wear with hundreds of different outfits. 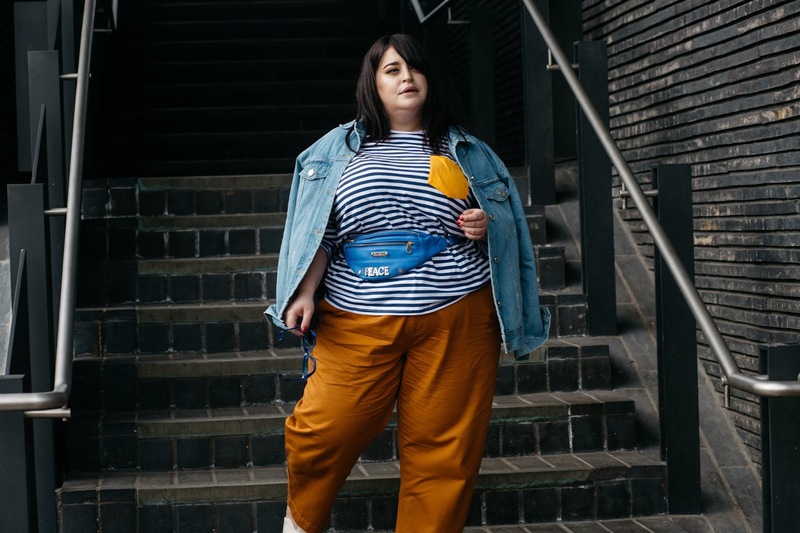 Try on session - once you've found the star item, mixed your basics in, picked the shoe and accessorised to the gods, it's time for a try on session! Put it all on, get up close and personal with your full-length mirror and get looking! A lot of women tend to shy away from looking at themselves in a full-length mirror. This is something I find exceptionally sad, but it is a reality for many. I think it's so important to look at your body, from all angles and understand that the way we see ourselves is very different from how others do. Get to know your body dressed and undressed! Before I go on holiday, for instance, I always prance around the house in my new bikinis to see how I feel in them and to get used to flashing the flesh. Keep on top of your laundry - this is so simple but so helpful. I try to do my washing regularly so that I know what I have clean and know what I have available to wear. There is nothing worse than planning a look, only to find your beloved piece is in the laundry basket, and you have to start from scratch. Invest in a steamer - Guys, ironing is killer. I hate it. I have a chronic pain condition, so it really hurts when I have to iron. A steamer has changed my life. Honestly! I keep it in the corner of my bathroom, and I pull it out whenever I need to get an item of clothing ready to wear. I used to buy a dress or a shirt and literally wear it once because after I washed it, I'd have to iron it and I am so lazy/in pain that it would just sit in the clean laundry pile or wardrobe, unworn. Now that I have a steamer and it takes minutes to make an item look brand new and crease free; I wear things over and over again, how they should!! Find a tailor - Does anyone else have a pile of clothes that they love but they cant wear because they're too baggy or too long in the leg? I used to have this pile...well drawer full, but last year I found a seamstress in my local dry cleaning shop, and now I always get things altered. This has opened up such a variety of garments that were previously unwearable and I now have a lot more choice! Dry Cleaning visits - I used to buy statement garments, wear them once and then they'd sit at the bottom of my laundry basket getting all musty and gross. I would say "I'll go to the dry cleaners next week", but then forget time and time again and never re-wear them. I now make a conscious effort to round up my dry clean only clothes and my clothes to be altered and take them to the shop. Now I know that I can actually re-wear my killer standout pieces and not just let them go to waste. 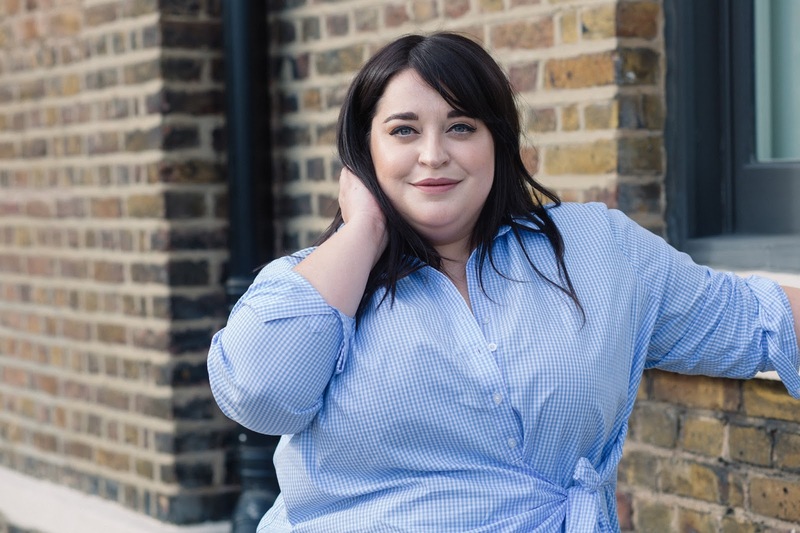 16 key pieces to help you build the perfect plus size wardrobe. I think it's safe to say that no matter how many clothes we own, we all have those "I don't have any clothes to wear" kind of meltdowns! Am I right? 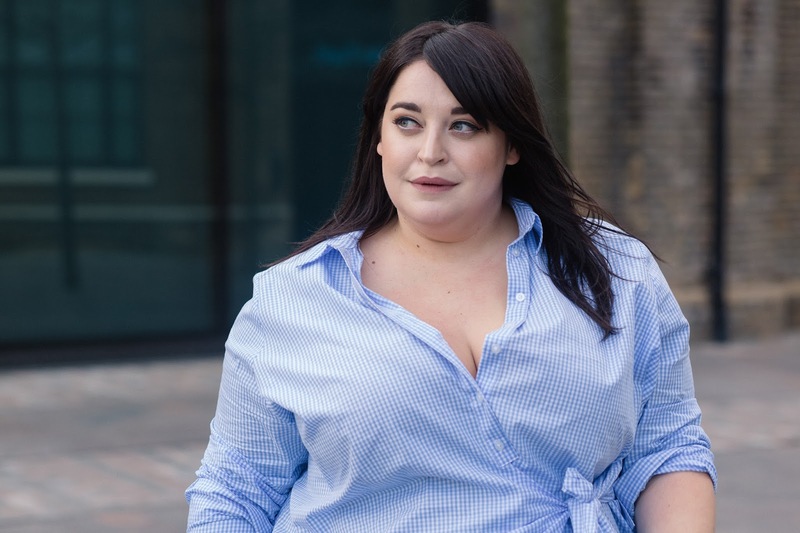 I have wardrobes, drawers and cupboards heaving with clothes and somehow there's always an event or situation where I feel like I have nothing appropriate to wear. 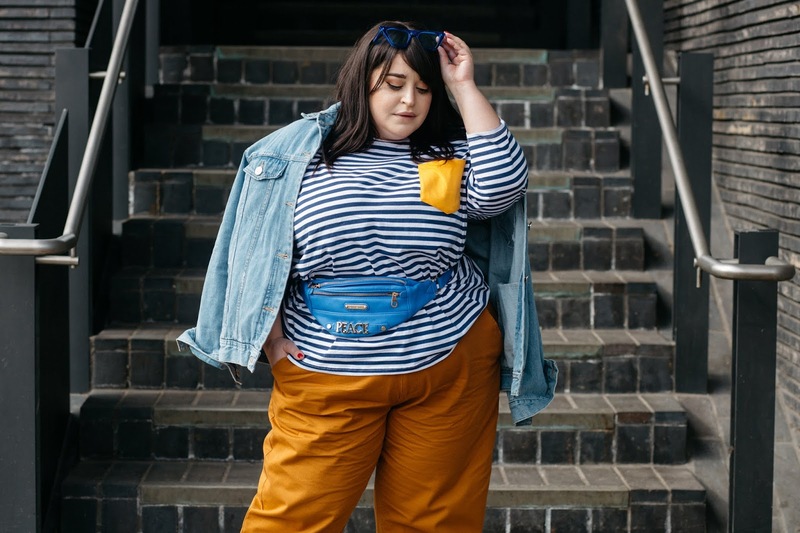 Now for a fashion-obsessed woman like myself, I am resigned to the fact I will always want new, fashion-forward pieces, but what I have also come to realise is, I need a fail-safe, go to wardrobe where I know I will ALWAYS have an outfit, perfect for pretty much every situation. 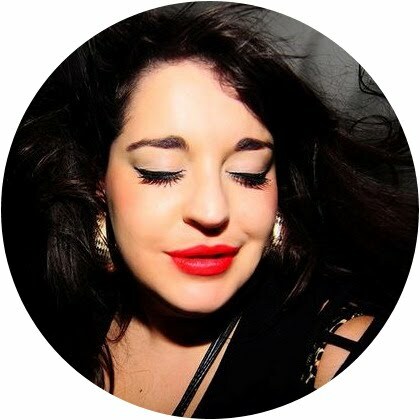 I recently started the mammoth job of sorting through all of my clothes, selling and giving away lots of unworn/lightly worn pieces and it has reduced what I own, considerably. I still have a long way to go till I have everything down to an amount I'm happy with BUT, what it has done is that it's allowed me to find gems I'd forgotten about and it's allowed me to see what I own easily. 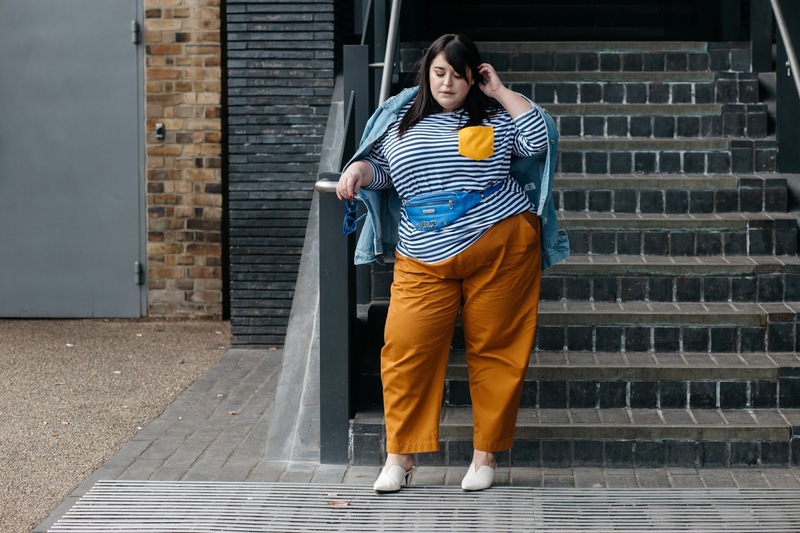 Reducing my wardrobe down has allowed me to focus on what it is that I tend to wear on a regular basis and what I reach for, time and time again. A useful tip for this is to look to your own Instagram accounts, for reference. 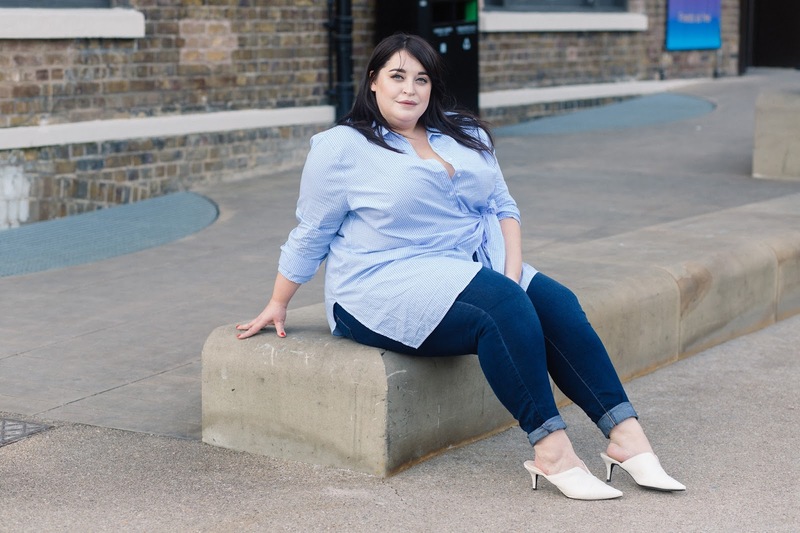 As someone who regularly shares what they wear, I found it helpful to have a collection of my outfits presented in front of me, and it made clearing out my wardrobe a lot easier. 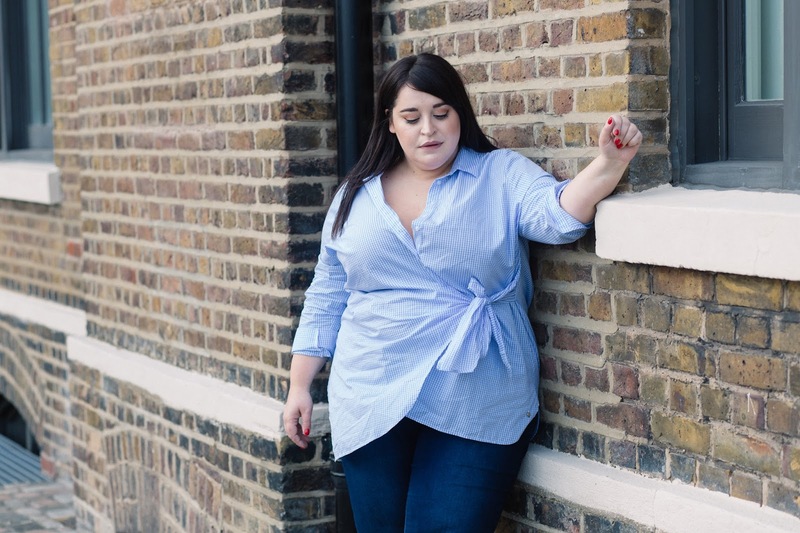 As the years have gone on, my style has obviously changed and evolved and looking at what I often wear helped me get rid of those pieces I know I will never wear again... this has given me an idea for a future blog post! All this spring cleaning and wardrobe reducing lead me to think of this particular blog post. With everything neatly on show, it got me thinking. I made a list on my phone of all the classic, wardrobe staples that I have and felt like this could be a great checklist for anyone who is struggling to minimise their wardobes or even add to it if they're missing key pieces and often struggle to outfit build. 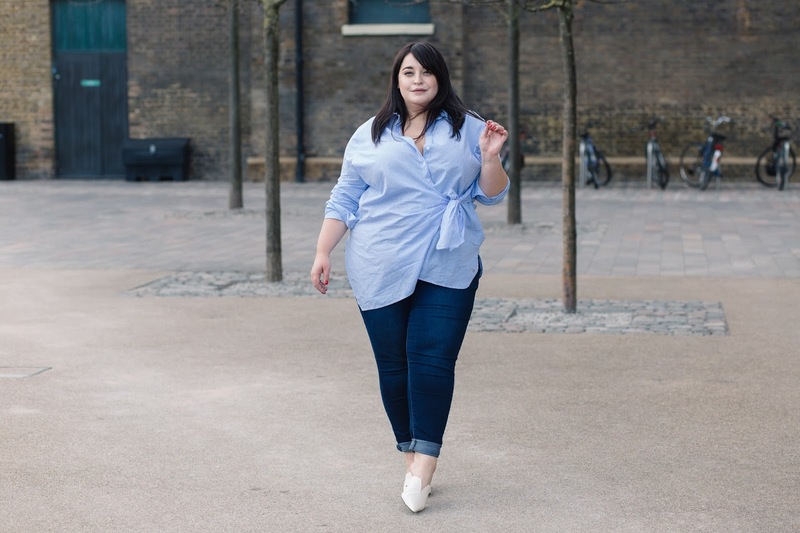 Wardrobe staples are the foundation of anyone's wardrobe and they really help to make outfit building that little bit easier. When I was in my late teens/ early twenties, I honestly didn't own half of the pieces I have listed below. I was really chaotic in how I dressed, how I stored my clothes and my life has honestly changed since ridding myself of those "wear once" statement pieces and building up my essential, "wear everyday" kind of pieces. Now, I'm not suggesting you purge every statement piece from your wardrobe, that would be silly! But what I am suggesting, is that if you make way for a few more go-to pieces; you will most certainly end up getting more wear out of those statement pieces. You will have more items to mix and match with them, and there will be more ways to keep them current and on trend. 16 key pieces to help you build the perfect wardrobe. This list could indeed be edited down, but I am a clothes fanatic and keeping things streamlined has never been my forte. 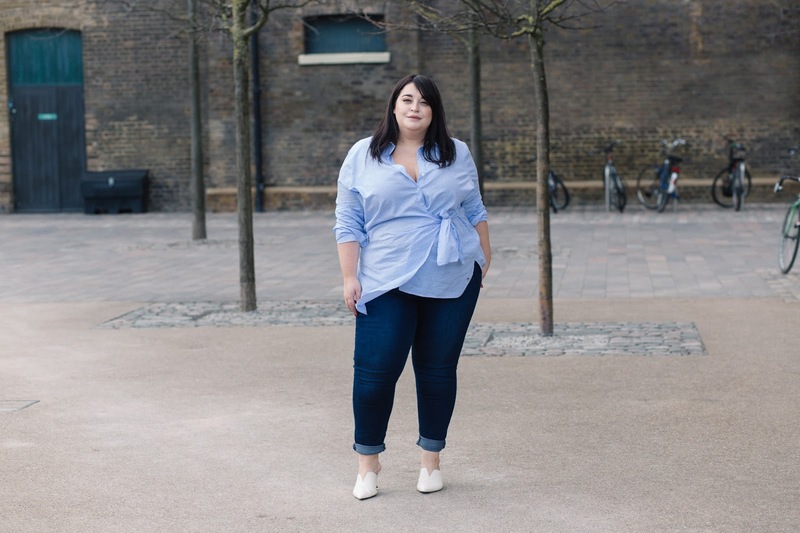 You can naturally remove pieces you wouldnt wear, but I just wanted to give you a personal list of my fail-safe, wardrobe staples. I feel like this is a good starting point for anyone who wants to build the perfect wardrobe. I also believe that this list is made up of items that anyone, no matter your size/age can wear. Fashion is for everyone! 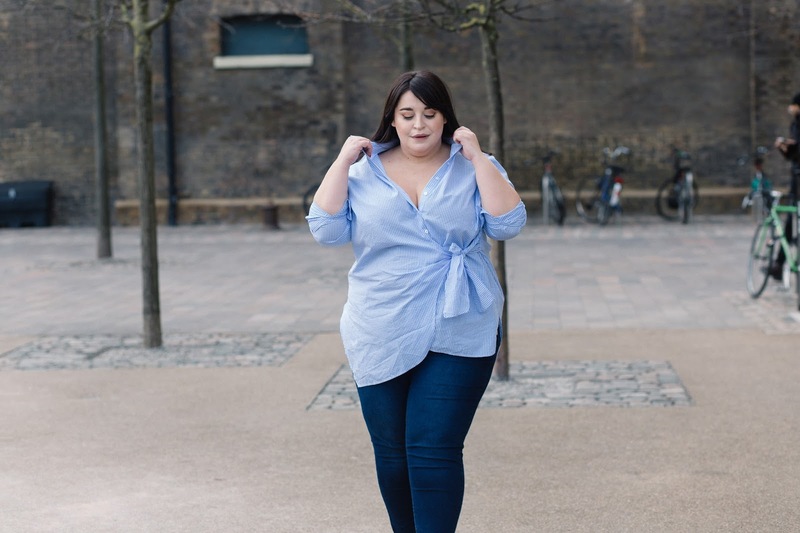 For years and years, this was a simple item that wasn't available for us plus size women. Infuriating, right? 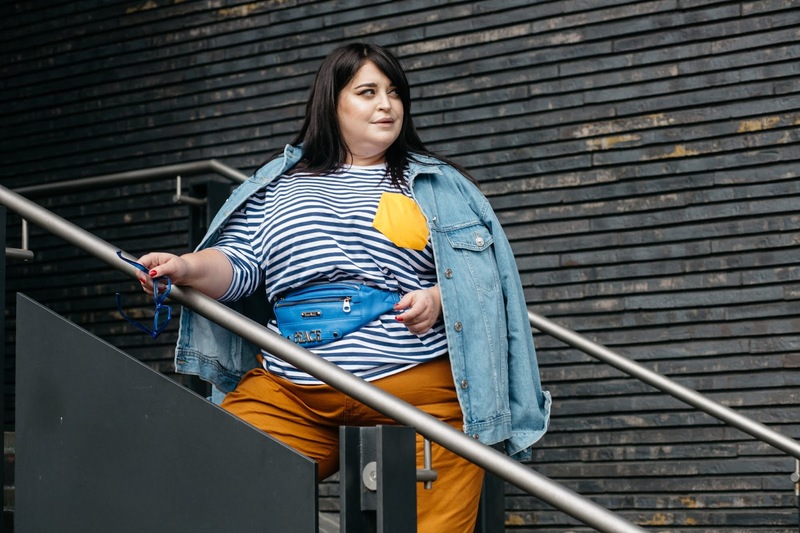 A simple, fuss-free Breton stripe top is something you will wear time and time again, and there are countless ways to wear them. Tuck into a midi skirt, layer under a denim pinafore or pair it with jeans. I feel like the trench coat is a perfect, all year round coat. 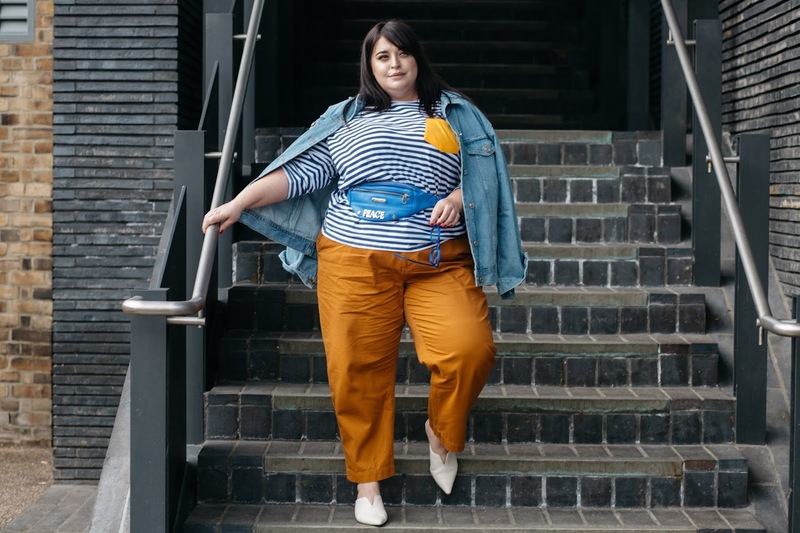 It is light enough to wear in the spring/autumn, and it is a style of outerwear that will never, ever go out of trend - trust me! You see trenches in the store every year, and there are so many different versions, there will definitely be one suited to you. A stylish, cigarette style pant is an essential item in any wardrobe in my opinion. You can wear simple black trousers to the office, with heels for a night out and paired with a crisp white shirt. If you have ankle grazers, you are halfway to a simple yet stylish outfit, fit for all occasions! A leather jacket is a life-changing item of clothing. 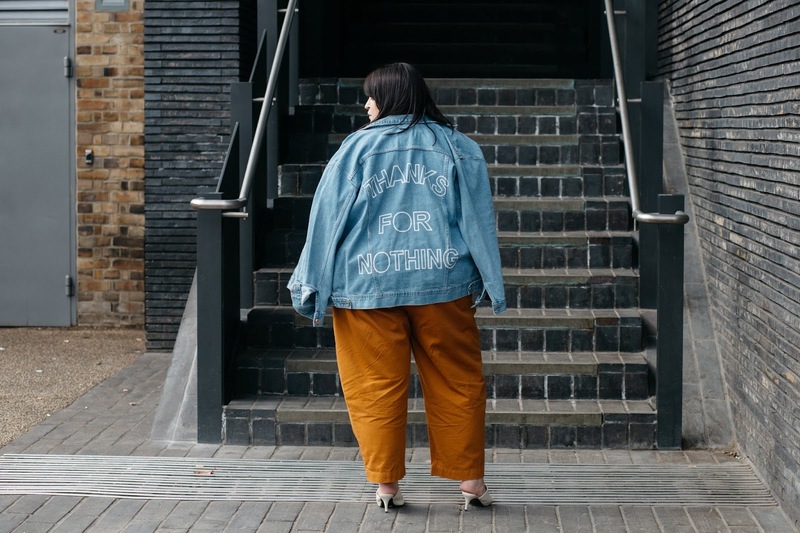 Never have I reached for a jacket as much as my fail-safe motto jacket. There are endless ways you can style them, and you can wear them EVERYWHERE! A jumpsuit is an item of clothing that took me a while to warm to, but now that I have a simple, black jumpsuit, I can't imagine life without it. Pair it with your leather jacket and white trainers for a fresh, relaxed look or grab some strappy heels and hit the dance floor! 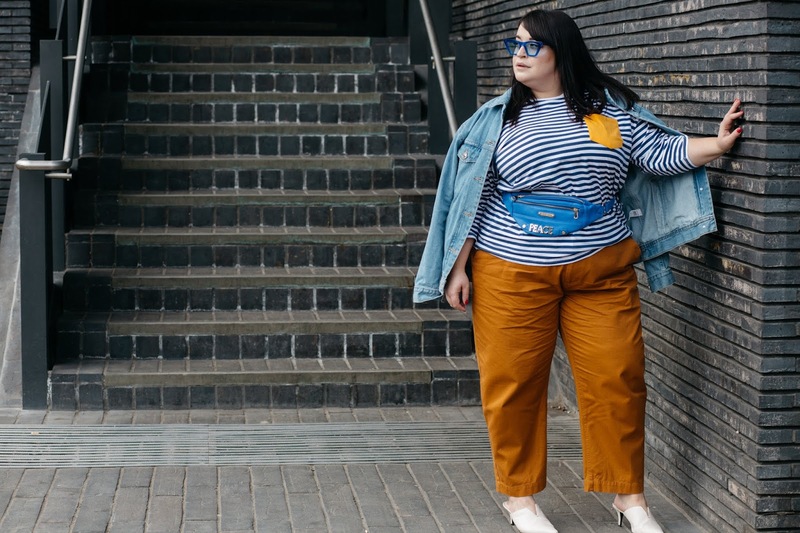 If you don't own a pair of culottes... you need to sort that out, fast! 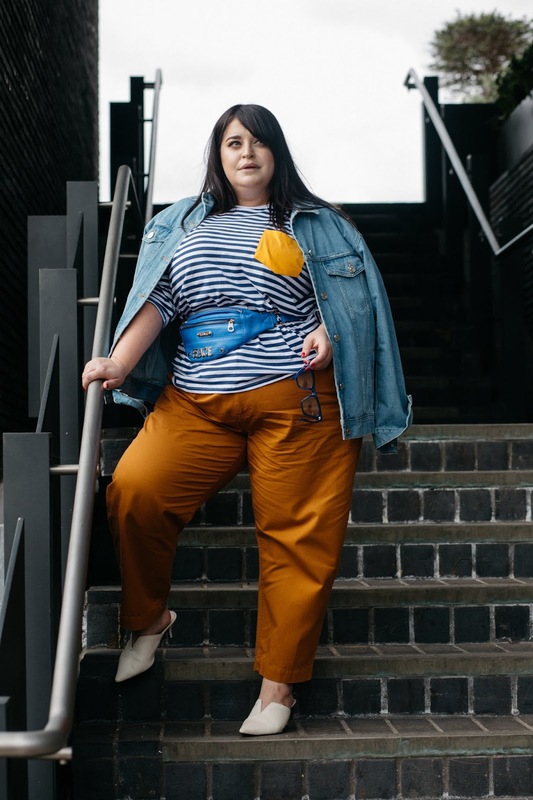 Every time I see a pair of culottes on a plus size woman, I think how good she looks to myself. Your Breton top, leather jacket, trench coat, classic knit, duster jacket (and everything else) will go with these and trust me; you'll get so much wear out of them. A round neck, knit is something you might not have thought about owning, BUT trust me, they are so great. I wear mine with midi skirts, over my shirts, under my denim jacket and with my skinny jeans. They are simple, yet very effective. Be careful when you come to wash them, I have ruined a few! 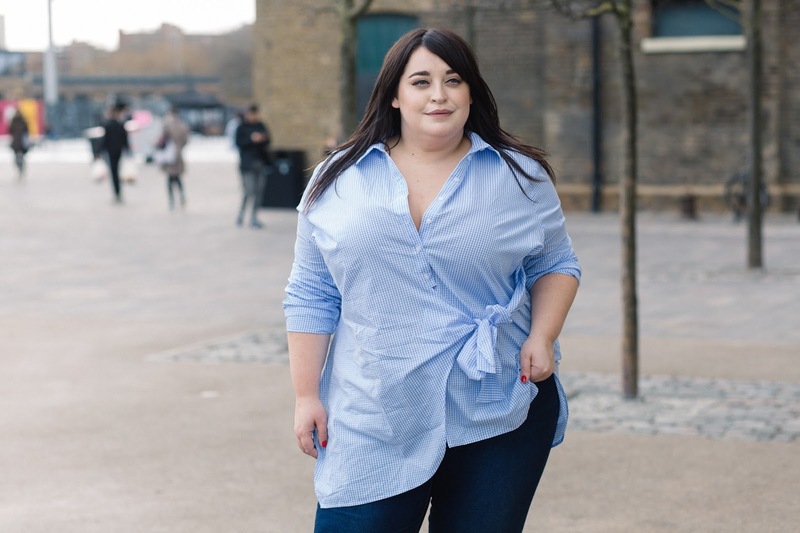 It took the plus size world a while to get to grips with the classic shirt, but I am happy to report, they are now readily available, and everyone should own one. Make sure you get one that fits well and doesn't gape. 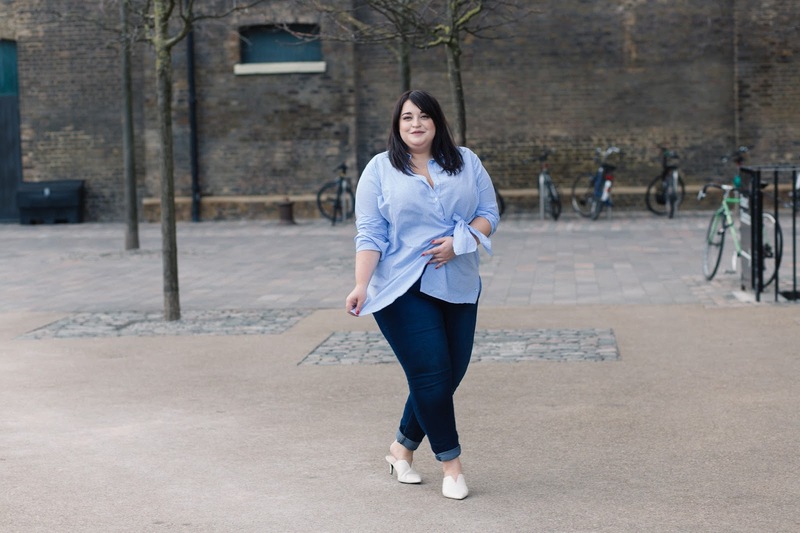 I currently own classic white shirts, as well as more fashionable ones which look great paired with jeans (as shown in my photos). 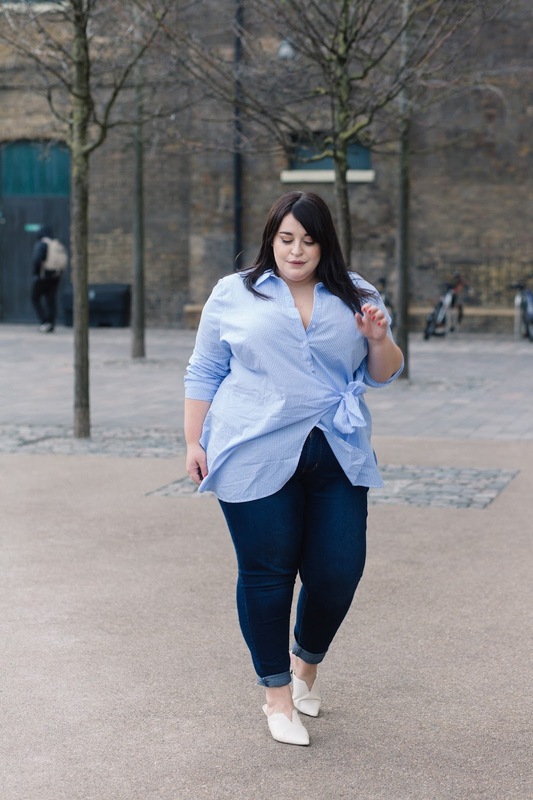 Finding jeans is a bloody nightmare, isn't it? For years, I didn't even wear them, and couldn't find the perfect pair. I can now report I have found the perfect pair and wear them week in and week out. Thank you, Levis! 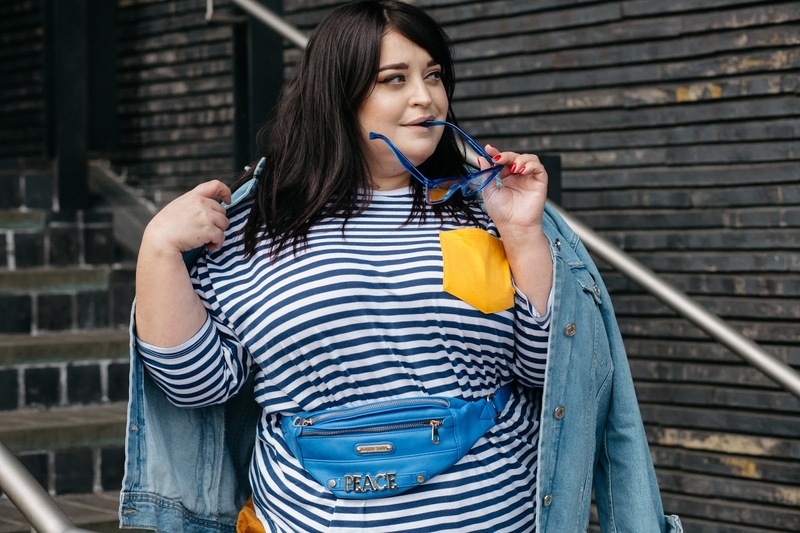 When wearing jeans, your looks don't need to be dull and frumpy though... pick some jazzy statement tops or wear with a Breton and a trench and voila, you have a perfect outfit! Now I'm a newcomer to the world of blazers, but I am thoroughly involved now. I love how they jazz up a jeans & tee combo, and they look amazing worn over a roll neck and paired with a midi skirt. Roll up the sleeves and watch how donning a blazer can really boost your confidence. 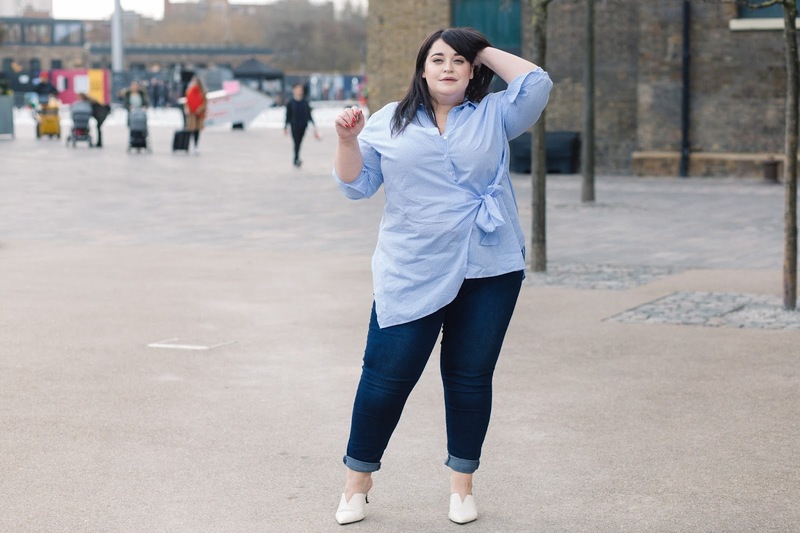 You can find a classic, white tee in most plus size collections nowadays and boy will you get your wear out of it. I think you can pair it with almost everything on this list and you can find ones on every budget. I have yet to see someone who doesn't suit a shirt dress! There are so many variations of this style that you are guaranteed to find one that works for you. They look great layered under knitwear, jackets and coats and you can also dress them up with heels or down with trainers. Check the men's section and main ranges for oversize styles... I guarantee there's a style out there suited to everyone, no matter your age. Every woman needs a LBD. They are my go-to when I'm going out-out or when I'm going to an event. I think your chosen LBD should be versatile and relatively minimal. I've not met a midi I didn't like. They are the most versatile of all the skirts in my opinion. They look so cool with t-shirts or crew neck jumpers, and they suit every shape and size! A Duster is such a wearable piece. I wear a duster jacket every week. They look great draped over your shoulders for a night out or worn normally with your more casual looks. A duster jacket is a great transitional piece, and I promise you will get so much wear out of a simple, black one. What do you think of this list... have I missed any important items? Maybe there's something you wear every week, let me know in the comments below!